Spring had sprung for a few days on the Bay Bush but we’re supposed to plunge back into the 30s tonight! (Those of you where it gets really cold have my sympathy!) At least the Bay Bush is decorated for spring even if it doesn’t feel much like it. 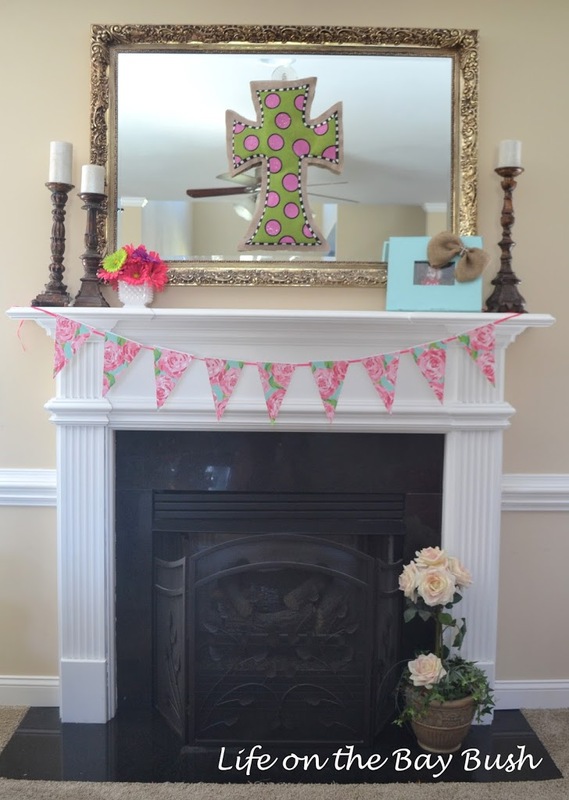 I got wild and crazy this weekend and rearranged a few pieces of furniture in the living room and threw together a Spring Mantel from things I had around the house or printed online. I’ve fiddled and fiddled with it and have finally thrown in the towel. It wasn’t exactly what I had in mind but it’s growing on me. You can find the Lilly Bunting here at Dixie Delights (there are several patterns to choose from!) 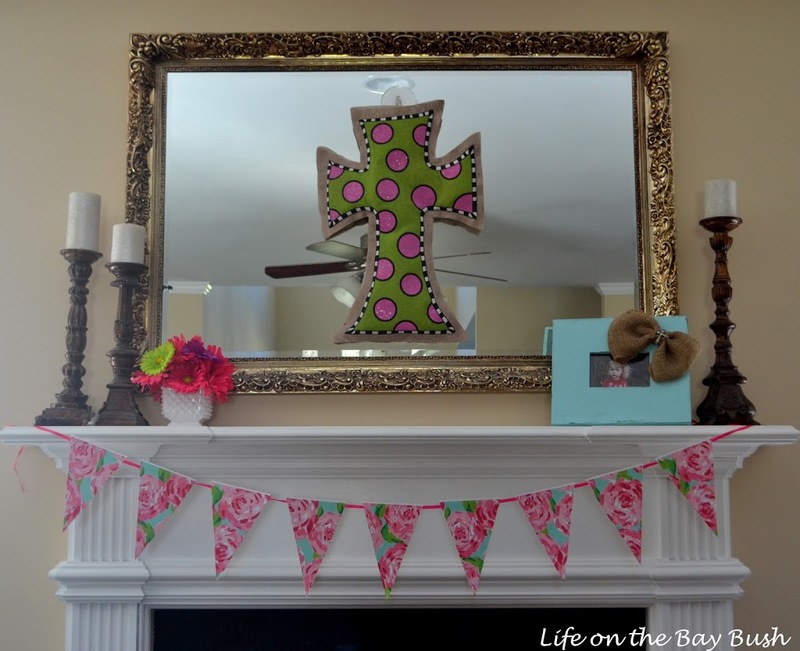 and the frame is one of my favorite DIYs ever! You can find it here. I received the milk glass vase from a Vintage Swap hosted by The Pink Clutch. My partner Mary Beth sent it to me all the way from Chicago! I’ve had everything else for ages. 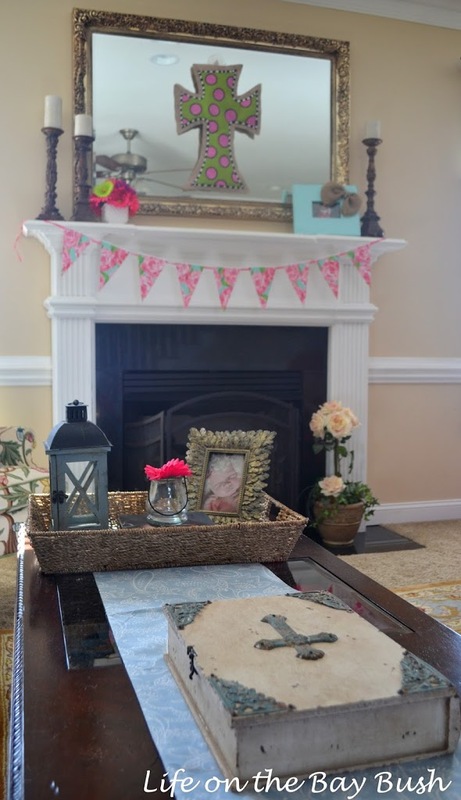 I added one of the daisies to a votive in the tray on the coffee table to bring a little pop of pink to the rest of the room. Now if I can just figure out a way to keep the baby from pulling everything on the coffee table into the floor…suggestions are welcome! 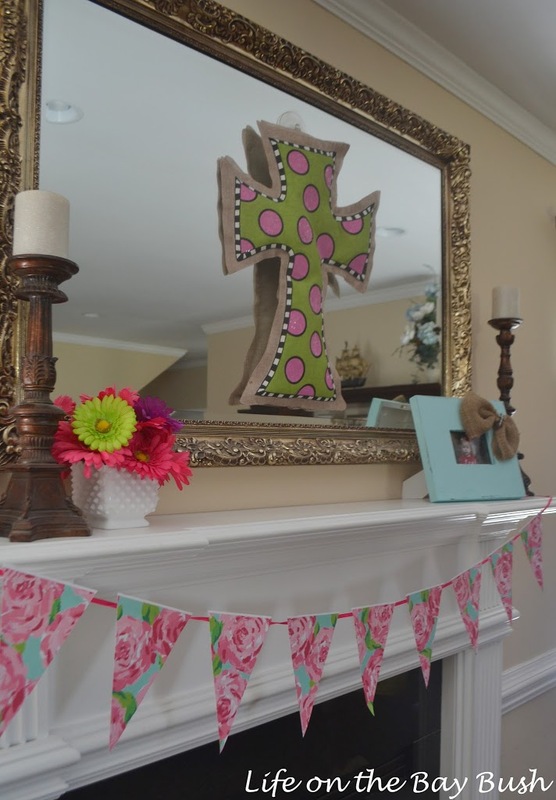 Hope you like my Pink Spring Mantel! p.s. I’m linking up to Home Stories A to Z, Tatertots & Jello , My Uncommon Slice of Suburbia and Sugar Bee Crafts.